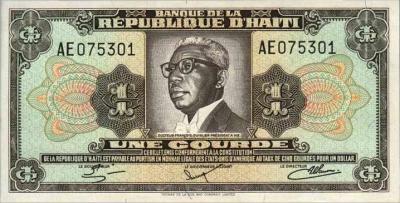 This concordat let Dr. François Duvalier (“Papa Doc”) nominate seven key clerics, thus ensuring their personal loyalty to him. It also stipulates that future appointments should be “preferentially to members of the indigenous clergy”. Both these measures helped bring the Haitian church under Papa Doc’s control. This concordat says delicately that the parties do not “modify their points of view with regard to the interpretation of Article 4” when it comes to the appointment of clerics immediately below the ranks of bishop and archbishop. In other words where it applies to bishops and archbishops, the parties do change the “interpretation of Article 4” — to the point of suspending it. But not forever. By specifying particular Duvalier favourites on a one-time basis the concordat ceded only temporary control of these appointments to the state. Furthermore, the Vatican, by retaining control over the appointment of clerics immediately below the rank of biship and archbishop, ensures that Church-approved successors were on hand for the future. This pact was made by plenipotentaries who were fully authorized to represent their governments, allowing them to both sign and ratify it, all at once. This agreement let the Vatican back into the country where it waited patiently for Papa Doc’s weak son to succeed him: “the Vatican thinks in centuries”. In the end, it took a mere eighteen years before a new concordat with “Baby Doc” quietly removed the presidential right to nominate bishops and archbishops. Mr Fritz Jean-Baptiste, Person responsible for Negotiations ad interim of the Republic of Haiti to the Holy See. Monsignor Dante Pasquinelli of the Secretariat of State for His Holiness. His Excellency Mr Desvarieux, Haitian Ambassador to the Holy See. Reverend Father Manuel Constant, Bishop of Gonaives. His Excellency Monsignor Remigio Agustin, Assistant to the Archbishop of Port-au-Prince, shall be appointed as Coadjutor to the Bishop of the see of Port-de-Paix, in the understanding that the Government of Haiti is granted a certain period of time to prepare for the return of this Prelate. The Reverend Father Juan-Bautista [Jean-Baptiste?] Decoste shall be raised to episcopal rank with the function of Assistant to the Archbishop of Port-au-Prince. Furthermore the Reverend Father Pedro Carlos-Eduardo [Pierre Charles-Eduard?] Peters (S.M.M. [Montfort Society of Mary]) is deemed worthy of being raised to episcopal rank with the function of Assistant to the Bishop of Cayes, within the provision of canon institutions that shall be accorded by His Holiness the Supreme Pontiff. The Government of Haiti is of a mind to acknowledge for His Excellency Monsignor Mauricio [Maurice?] Choquet, Titular Bishop of Diospolis Inferor, the qualification and function of Assistant to His Excellency Monsignor Alberto [Albert?] Consineau, Bishop of Le Cap-Haïtien. It is understood that neither the Government of Haiti nor the Holy See shall modify their points of view with regard to the interpretation of Article 4 of the Concordat as concerns the appointment of Coadjutors to Bishops and Assistants appointed to the Holy See. It is also not a point for discussion that the diplomatic notes shall continue to be in force and not modified by this current Protocol, but modified on 12th January 1966 between the Secretariat of the State of His Holiness and the Ambassador of Haiti to the Holy See. The Haitian Plenipotentiaries warmly welcome the fact that His Excellency Monsignor Antonio Samoré, Titular Archbishop of Tirnovo, shall be the principal consecrator of new Haitian Bishops. The date of the 22nd August has been chosen for the publication of pontifical appointments in the Official Section of the Osservatore Romano** and for those appointments decreed by the President in Le Moniteur, the official newspaper of the Republic of Haiti. In the case of any of the chosen ecclesiastics being unable to accept the proposed seat of residence, the Reverend Father Juan-Bautista Decoste or the Reverend Father Carlos-Eduardo Peters or some other candidate appointed by His Excellency the President for Life of the Republic and approved by The Holy Father will be called upon to fulfil that function. At the conclusion of discussions, Representatives of the Republic of Haiti and of the Holy See have modified, in an atmosphere of calm and cordiality, their points of view on diverse questions which have to do with the future relations between the State of Haiti and the Church; in particular the offices of priests from the Society of Saint-Jacques/Santiago in the service of religious faith in Haiti, their offices which, in keeping with the provisions of canon norms, shall be reviewed only at the request of interested Bishops; the hierarchy of the Religious Congregations who operate in Haiti and the formation of Haitian seminaries; public works of the Church; a review in the future to establish an archbishopric in Le Cap-Haïtien and a Bishopric in Jacmel Jérémere, Hinche, and other ecclesiastical districts which shall eventually be assigned by mutual agreement preferentially to qualified members of the indigenous clergy. Haitian Plenipotentiaries have confirmed the firm intention of the Government to provide special protection and full liberty for the Apostolic Roman Catholic Church and likewise to its ministries in conformity with the Concordat, Canon Law and the Second Vatican Ecumenical Council, and the same to its Archbishops, Bishops, Vicars General and Minister of Religion in so far as they exercise the functions of their pastoral ministry, with the understanding that the exercise of these rights and skills of their spiritual office shall not be interpreted by any means to be prejudicial in any way to the rights and competence of the state’s own civil authority. It is understood that in cases of difficulty, diverse opinions shall be resolved by the competent ecclesiastical authorities or, if necessary, by the Holy See through normal diplomatic channels. Within the same framework of an atmosphere of agreement and peace, the Plenipotentiaries of both Parties have manifested their agreement in order to proceed within the most opportune time frame to re-establish normal diplomatic relations through the auspices of an Apostolic Nuncio in Haiti and an Ambassador of the Republic of Haiti to the Holy See in the Vatican City. During the course of a further meeting on 15th August this letter is exchanged regarding the present Protocol, produced in French in duplicate original copy, one to the Haitian Government and the other to the Holy See, and the Plenipotentiaries of both Parties shall proceed to sign the document. * In the Italian version, from which this was translated, the Christian names of Haitian prelates appear to have been rendered in their Italian forms. ** The Osservatore Romano (The Roman Observer), first published in 1861, is the official organ of the Vatican. It covers details of all papal activities and articles by leading churchmen and is published daily in Italian and weekly in many other languages. Translated by Dr. David Holohan from the Italian version which is no longer posted online by the University of Florence.